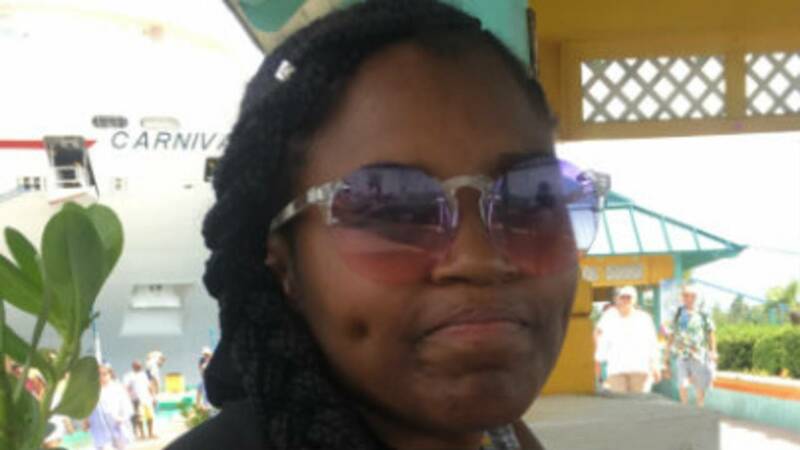 Meia Jackson was last seen Friday, Oct. 12. DETROIT - Detroit police are searching for 16-year-old Meia Jackson, who went missing Friday evening in the 8000 block of Stahelin. Jackson's grandmother says when she returned home from work, the teen was not there. She assumed the Jackson was at a neighbor's or relative's house. Jackson was last seen walking in the rain north on Stahelin toward Joy Road around 8 p.m by a neighbor. She has never been missing before, and her grandmother is concerned about the teen's safety. Jackson is described as black, 5 feet, 2 inches tall with black hair and brown eyes. Jackson was wearing a white tank top, black jogging pants and Nike flip-flops when she disappeared. Jackson's physical and mental condition is poor. If anyone has information on the teen's disappearance, call Detroit police at 313-596-5500 or Crime Stoppers at 1-800-SPEAK UP.